Camarillo Landscape and Tree Services is an experienced and knowledgeable local firm helping homeowners and property managers throughout the greater Ventura County area. We provide a wide range of services to meet the needs of your home, commercial property or park. 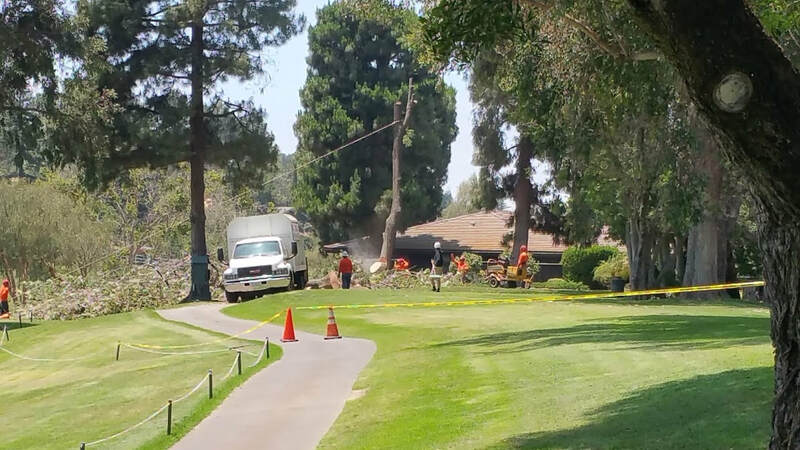 No job is too large or too small for Camarillo La​ndscaping & Tree Services. Big jobs or small, many folks contact us for landscaping & tree solutions to enhance the appearance of their homes and businesses. Our team of specialists is well-trained in doing every job with care and safety as top priority. We provide free tree service estimates so don’t hesitate to contact us if you’re searching for a quality reliable and affordable tree service company near you. Camarillo Landscaping Specials! Call for details! We also offer one-time clean-ups and one-time lawn service, so if your landscape company can't get to you, give us a call! We will be happy to take care of your lawn. Emergency calls available. Need your lawn done for a weekend party? Let us handle that for you! We provide tree trimming, stump grinding and removal, and emergency tree removal solutions to make certain that any unsafe conditions in your property are assessed and adjusted immediately. Camarillo Landscape & Tree Services has developed a high reputation for professional tree services across the surrounding cities. As low as $59.00/mo for small yards. Tree service varies as each tree is different give us a call for a free no obligation quote. We can also tailor a special landscape schedule that fits your needs. 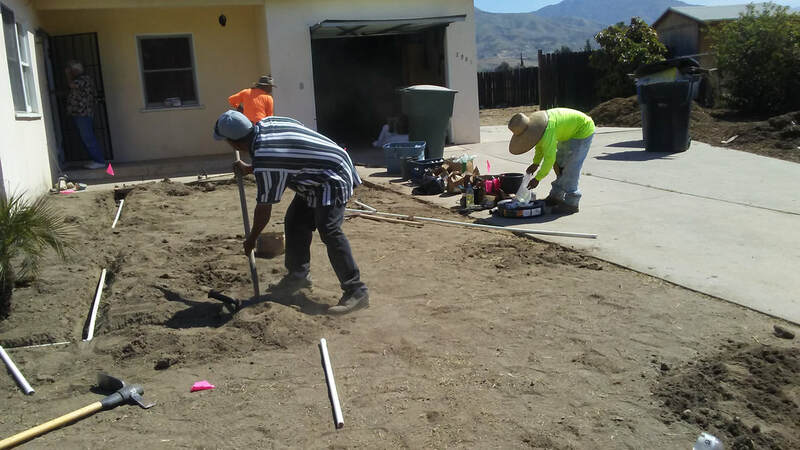 Camarillo Landscape specializes in creating beautiful lawns and understands the unique demands placed on So. Cal lawns. From mowing, trimming, and fertilization, to weed control, and fall clean-up Camarillo Landscape provides all the lawn care and landscape maintenance services you need for a beautiful lawn season after season. Whether you are a homeowner or need commercial landscape maintenance, our lawn service staff is serious about providing you with a pleasant experience. Our years of experience and attention to detail will guarantee that your yard is treated as if it were our own. Our years of experience will help restore your lawn to what it was when it was first installed. We know what type of fertilizer to use in the winter months, spring, summer and fall. Fertilizing at the right time helps keep the lawn green and healthy during cold winters. Trimming roses and other seasonal plants will insure that you have a colorful garden in spring. The combination of experienced groundsmen and management staff is key for a successful green lawn and thriving garden. Don't hesitate to give us a call for a free quote or if you need a suggestion on what type of plant or ground cover to use in certain areas. We are here to help! Landscaping services in Camarillo & Thousand Oaks we are available 7 days a week. Hire a local company to take care of all of your landscaping needs. We provide monthly, semi-weekly and weekly service. If you like taking care of your own yard and only need us once a month, we are happy to accommodate. Timely, outstanding service done professionally. A courteous, uniformed representative who is happy to address customer requests and concerns, and whose singular goal is to provide outstanding results with each visit. Prompt responses to telephone calls and emails. Professional lawn care and landscaping services at a fair rate. One-time cleanups for special occasions are available upon request. Speak to the owner direct when necessary. Sprinkler installation and repair- If you want new sprinklers with a timer we can install a state of the art timer and high performing valves to last for years to come. If your current system is not providing the service you expect, give us a call so that we can evaluate the efficiency and make proper recommendations. We also repair and replace sprinklers and valves that can cost you hundreds of dollars in your water bill. Let us run a test on your system and make sure you're not throwing away money. If your sprinklers are not spraying properly because they are being blocked by grass, chances are your lawn may need aerating. Throughout the years our lawn gets thicker, our roots grow and raise the height of the lawn. Some folks like the thicker look and opt to change their sprinklers to a longer sprinkler so that it sprays over the high/tall lawn. Whatever your preference Camarillo Landscape is here to accommodate your needs, so if you want us to aerate or install taller sprinklers, you're the boss, we're happy to do it. Not addressing this problem will cost you hundreds of dollars in wasted water and brown spots on your lawn as certain areas will not get watered. Camarillo Landscape is here to save you some green by taking care of your green! Hardscape design from walkways, stepping stone, bbq, bars, walls and anything you can think of. If you can think it we can do it. In this picture we used flagstone and brick to create the look our homeowner wanted. Camarillo Landscape is dedicated to fulfilling your needs. Designing hardscape is part of the overall landscape look. Depending on what you want to achieve we can handle it for you. A major part of adding hardscape to your landscaping is water conservation, the more hardscape the less grass and vegetation you need thus less water consumption. You don't want to overdo it when adding hardscape either. Have the right balance is key. Adding shrubs, succulents, gravel, bark, and other options can reduce your water bill. Let us give you some ideas on your landscaping design. Types of Hardscaping As the landscaping industry becomes more sophisticated, the line between hardscaping and softscaping begins to blur. Today, there is an increased demand for “living” semi-permanent or permanent materials. These are used to create eco-friendly landscapes at home and at work. With this new demand has come a range of new hardscaping materials that are both alive and inert. 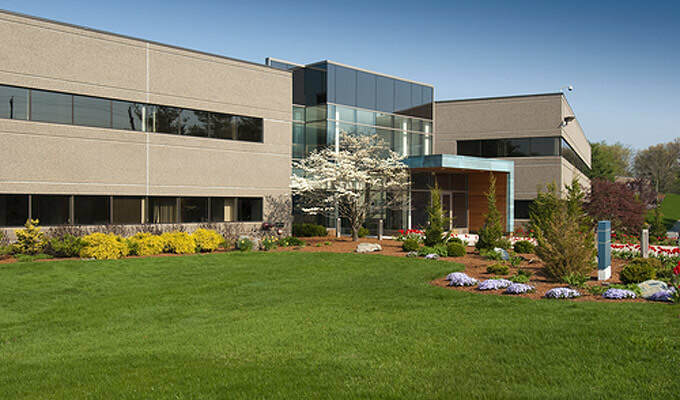 Reducing Hardscaping Maintenance A well-planned hardscape design can help reduce your ongoing maintenance needs, saving you both time and money. Here is where hardscaping, softscaping, and landscape design meet to create a landscape plan that is durable, lovely and low maintenance, we love saving our clients time and money so give the experts at Camarillo Landscaping a call. Three factors can greatly influence the maintenance of landscaping: choice of climate-friendly greenery, hardscaping/softscaping materials and planned drainage. In other words, you don’t want to walk out after the next heavy rainstorm to discover your entire landscape has washed away down the drain! Similarly, you don’t want to spend your winter worrying about what is going survive the cold and what is not. Pest control is often best accomplished by carefully choosing weed barriers, fertilizers, mulch and soil that will encourage plant growth and send pests packing. If all of this sounds intriguing yet overwhelming, remember we are here to help! At Camarillo Landscaping & Tree Service , we’re here to answer all of your questions and ready to help you take on any project. Give us a call today. Pool decks, flagstone steps, perimeter walls that can be used as sitting areas or whatever you want to put on them. Fire pits, all of these are part of our hardscape line of work. Anything concrete. If you need a swimming pool deck or a decorative design like a water fall, flagstone river rock or any other stone we can get it done for you. We specialize in new lawns below you''ll see before and after of a lawn we recently finished. ​We de-thatched the grass, by passing the machine three times and lowering the cutting blade each time until we reached the dirt. We spread seeds and covered it with fertilizer. I couldn't put the photos in order of the before and after but you can the work being done. We also did the work right before the big rains so the grounds were saturated which is what you want. The after photo shows the second time we've mowed the lawn. There are still some spots that are bare but for the most part it looks good. Some local agencies have requirements on how your commercial building should appear, what type of landscape and hardscape is to be used. We have experience working with local government agency to keep you compliant. There are a number of reasons why trees need to be removed. While some trees are optional to remove others aren't, such as dead trees. Tree Removal is a must when it comes to dead trees. They can present a hazard to you, your family and your property, they can attract termites and other unpleasant insects. Give us a call for a free no obligation quote. We love our yard and all the little extras you do for us! Thank you! Thank you for putting your landscaping and Tree Service needs in our hands. We know you have choices and we appreciate your business. If there is anything we missed or if you're unhappy with something please let us know so that we can take care of it immediately. We take pride in what we do and want to make sure you are happy!